Don’t miss out on this amazing deal, priced for immediate sale in the amenity-rich community of GreyHawk Landing! 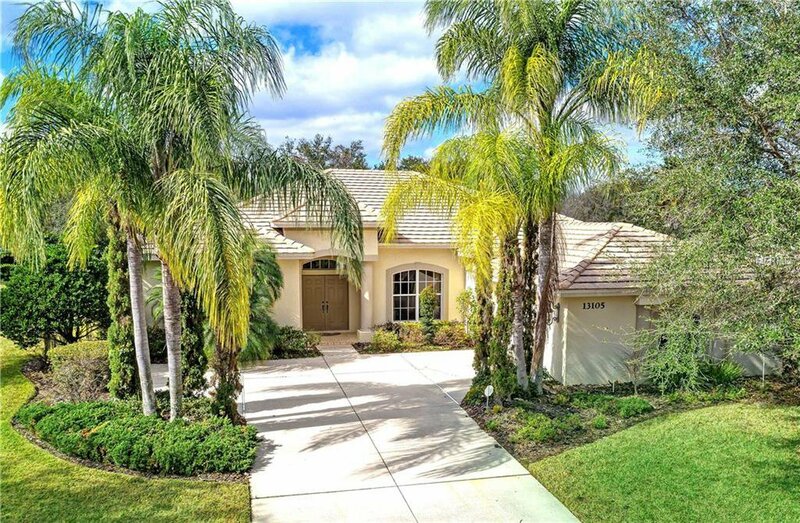 This quality-built, semi-custom Sam Rodgers “Siesta II” is a single-owner home situated on a premium and ultra-private third-acre preserve and lake view lot. The open, split-bedroom 4/2 floor plan is versatile and easily adaptable for multi-generational living. Clean and bright with soaring 10’ ceilings, architectural niches, and 18” tile throughout the main living area, this home is a pristine canvas waiting for the personal touches of its new owners. The chef’s kitchen features stainless steel appliances with gas range, Corian counters, tile backsplash, 42” lower-lit wood cabinets, and custom swing-out pantry shelving. In the Owners’ Retreat, you’ll find private lanai access, an oversized, custom closet, dual sinks, garden tub, private commode and bath Plantation shutters. Thoroughly enjoy the Florida weather on the spacious lanai with its serene preserve and lake backdrop and newly-resurfaced solar-heated pool. Other key features of this home include: New HVAC in 2010; Private irrigation well; Office built-ins in the 4th bedroom... Be sure to view the Features List and interactive virtual tour! Seller offering up to $5K credit toward buyer closing costs w/ acceptable offer! GreyHawk Landing is a gated community with two resort-style pools, fitness center, lighted tennis and basketball courts, bass-stocked lakes, fishing pier, miles of nature trails and fun for all interests!